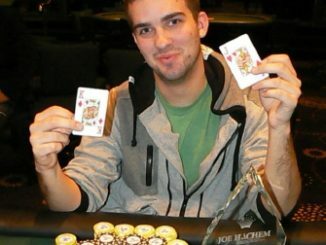 The pursuit of a WSOP bracelet is about to be made a whole lot easier for Australian players with news of the WSOP APAC at Crown in April next year. But for those who can’t wait that long, Crown Poker is offering several amazing opportunities for players to head to Vegas for the 2012 WSOP, including a shot at the biggest tournament prizepool ever offered. The highlight of the Ultimate Vegas Bracelet Chase starts on Saturday, June 23 when the Crown Poker Room will be packed for a free to enter Mega-satellite (with $10 rebuys). Action resumes on Sunday, June 24 with day 2 which will also be open to new players who can buy-in directly for $550, with a $200 bonus add-on available to all. Valued at more than AUD $40,000, the Ultimate Vegas Bracelet Chase package includes entry into the WSOP Main Event (USD $10,000) plus entry into the guaranteed USD $1,000,000 Big One for One Drop Mega-satellite in Las Vegas on June 30 (USD $25,000 buy-in). The package also includes AUD $5000 spending money and 12 nights’ accommodation in a luxurious Las Vegas Hotel. This is the biggest prize in a freeroll ever offered by Crown Poker, giving local players the chance to etch their name in poker history. 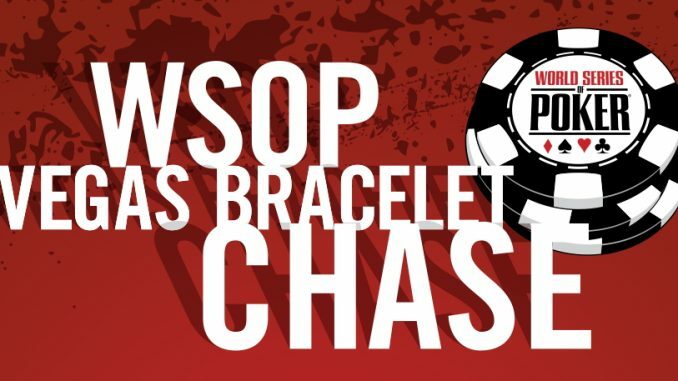 There are two other opportunities for players to be front and centre for the WSOP as part of the Ultimate Vegas Bracelet Chase. The $550 WSOP Main Event Bracelet Chase will be held for four Sundays from May 27 at 6pm. 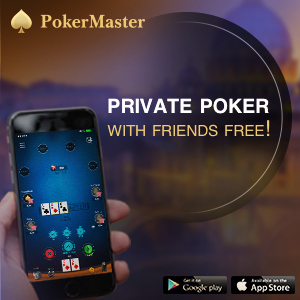 Each week, winners will receive an AUD $13,000 package including a 2012 WSOP Main Event seat and AUD $3000 for travel expenses. For those whose dreams of WSOP glory don’t stretch as far as the Main Event there is another way to reach Vegas. 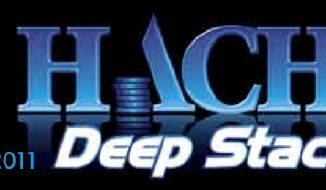 Every Saturday for four weeks May 26, the AUD $200 Deepstack WSOP Bracelet Chase tournament offers players the chance to win a package valued at AUD $4000 which includes entry into any WSOP event of the player’s choice, up to the value of the package, with any remaining funds paid as cash towards travel expenses. Play starts at 4.10pm for these $200 Deepstack WSOP Bracelet Chase tournaments. 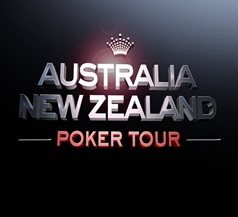 Registrations are now open via the Crown Poker website, and watch PMA for further information relating to this exciting promotion.